Abdel Fattah el-Sisi, the former head of the military that overthrew Egypt’s legitimately elected president Mohammed Morsi in a 2013 coup d’état, is almost certain to win a landslide victory in today’s [May 26-27] presidential election. 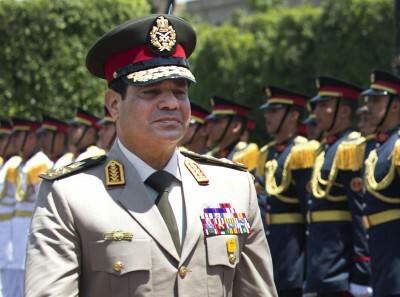 Sisi’s victory, however, won’t be due to a groundswell of popular support. In fact, a Pew Research poll conducted in April found that only a narrow majority of Egyptians support him. Instead, Sisi will win because he has banned the main opposition, the Muslim Brotherhood, the organization from which the legitimate president, Morsi, sprang. Just as importantly, Morsi supporters are boycotting the vote, reasoning that they already have a legitimate president, even if he has been illegally locked away in the regime’s prisons. So, with the only substantial opposition viciously suppressed, and Morsi supporters staying away from the polls, a Sisi landslide victory is a virtual certainty. But it will confer no legitimacy on the Egyptian strongman.